Patients of ‘bubble-boy disease’ may soon have a cure as Glaxo’s potential cure has cleared one more hurdle after a European Union regulatory panel stood into its support. If approved, the treatment will help children born with the rare immune-system condition. On Friday, an advisory committee of the European Medicines Agency showed its support for the cure, which involves introducing a new gene into the sufferer’s stem cells. Positive attitude of the committee has made path easy for the treatment. There are high chances that it will receive approval in coming months. The new therapy will be beneficial for kids with Adenosine deaminase deficiency, also called ADA-SCID. It is a disease that targets children and takes their lives if left untreated. A clinical trial by GlaxoSmithKline on large scale has failed to prove that Breo Ellipta inhaler of the company extends life in patients suffering from chronic obstructive pulmonary disease. With the failure, hopes of the company regarding the product have shattered. Glaxo was expecting that Summit study that tested Breo against a placebo in more than 16,000 patients from 43 countries would show that the product extends life and also helps with breathing. It has been said that the first ever malaria vaccine has been approved on Friday by European drugs regulators. The European drug regulators recommended that the drug should be licensed to be used on babies in Africa who are at high risk of the mosquito-borne disease. The vaccine called RTS, S or Mosquirix has been developed by British drugmaker GlaxoSmithKline in partnership with the PATH Malaria Vaccine Initiative. The vaccine is said to be the first ever licensed human vaccine against a parasitic disease. Drug makers said that it could efficiently help prevent millions of cases of malaria in countries that will use it. Recommendations for a drug license made by the European Medicines Agency (EMA) are normally endorsed by the European Commission within a couple of months. The sale of Breo Ellipta has got approval from the US Food and Drug Administration as a once-daily treatment for asthma in patients aged 18 and older, said GlaxoSmithKline and Theravance Inc. The FDA said the treatment could not be approved for use in younger asthma sufferers as it's not safe for them. The agency said that only additional data could confirm Breo's safety and efficacy in that population. The FDA gave its nod to the treatment after an FDA advisory panel of experts had voted 16-4 for use in adults. However, it voted 19-1 that data was not substantial enough to prove that it's safe for use in children aged 12 to 17. According to Reuters, GlaxoSmithKline Plc’s new respiratory treatment for chronic breathing problems is being reviewed to ensure the safety of the drug over long term use to treat asthma patients. According to the US Food and Drugs Administration (FDA), they are conducting review of the treatment and are also carrying out the discussion on approval of the combination treatment, Breo Ellipta. The agency has already approved the inhaled drug combination of vilanterol and corticosteroid for treatment of chronic obstructive pulmonary disease, which is a breathing disability. It becomes severe over time and generally smokers are only affected by it. Beijing, May 14 : The probe into bribery by GlaxoSmithKline (GSK) in China is complete and the case has been handed over to prosecutors, police said Wednesday. Prosecutors have started their examination of the case that involves 46 suspects, including British national Mark Reilly, manager of GSK China, Xinhua reported. After 10 months of investigation, police found that Reilly had ordered his subordinates to offer bribes. Reilly allegedly pressed his sales teams to bribe hospitals, doctors, other medical institutions and organisations through various means and gained illegal revenue worth billions. Pharmaceutical major, GlaxosmithKline is nearing a deadline set by the US Food and Drug Administration to ensure the regulator on quality standards at its Currabinny plant in Cork. The regulator had set the deadline for the company to explain how it intends to comply with the rules set by the authorities. The recent letter issued by the US regulator was a setback for the company's reputation as the company focuses greatly on its supply chain and establishments linked to its global network. Glaxosmithkline, a substantial, multinational pharmaceutical organization placed in Brentford, London, has issued a complete and aggregate review of the greatly prominent weight reduction drug known as "Alli" in both Puerto Rico and the United States. The organization known as GSK has accepted client objections in seven states, including Florida, New York and Texas, around various bottles that held different tablets and containers of shifted colors and shapes notwithstanding the real blue Alli pills. It has been accounted for that a couple of jugs were additionally missing their names. 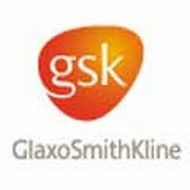 New Delhi, Feb 20 : The Cabinet Committee on Economic Affairs Thursday approved a proposal of GlaxoSmithKline Pte Limited, Singapore, to acquire 24.33 percent in the subsidiary company of the GSK Group in India. The approval would result in foreign investment of around Rs. 6,390 crore in the country. Authorities in China have released more information about the accusations against GlaxoSmithKline relating to bribery and corruption in China. British drugs giant, GlaxoSmithKline (GSK) has reportedly admitted to the Chinese authorities that some of its executives might have broken the law in China. Three senior level management officials of GlaxoSmithKline are now in China to prepare a response to the allegations of bribery and corruption in the country. UK's largest drug-maker, GlaxoSmithKline (GSK) has infused more capital in its Indian subsidiary to increase its stake from 43.2 per cent to 72.5 per cent. The additional investment in the Indian unit indicates that the company is looking to expand its presence in the emerging Indian market. David Redfern, GSK's chief strategy officer pointed out that the move will allow the company to increase its exposure to the Indian market. London-listed pharmaceutical & healthcare giant GlaxoSmithKline (GSK) Plc has announced a $940-million (Rs 5,220-crore) open offer to raise its stake in its Indian subsidiary GlaxoSmithKline Consumer Healthcare. On Monday, GlaxoSmithKline Plc announced that it wanted to acquire up to 13,389,410 shares of GlaxoSmithKline Consumer Healthcare, increasing its stake in the company by 31.8 per cent, from 43.2 per cent to 75 per cent. The open offer represents a premium of 28 per cent to Friday's closing price of the stock. Healthcare and drug major, GlaxoSmithKline has said that it is planning to increase its stake in its Indian subsidiary, GlaxoSmithKline Consumer Healthcare. The UK based parent company is planning to increase its stake to upto 75 percent that this could involve an infusion of Rs 5,220 crore. It has made an open offer to acquire additional 31.8 per cent stake in the Indian unit. The company currently holds from 43.2 percent stake in the unit. GlaxoSmithKline Pharmaceuticals Ltd has reported a fall of 7.6 per cent in net profit at Rs 145.86 crore in the second quarter of the year compared to Rs 157 crore a year ago. Pharmaceutical Company, GlaxoSmithKlines has declared that it is making a provision of £2.2 billion through which it will be paying for all the legal costs pertaining to its diabetes drug Avandia. It also said that all the legal charges are going to be put up on the final quarter results of 2010; and if that happens then the whole profit for the quarter is going to be wiped out.